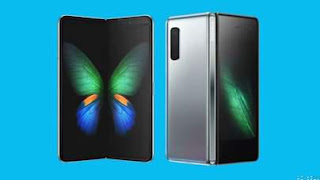 Samsung recently unveiled a phone that folds into tablet. 1.When its folded, the phone has a 4.6 inch display. Once it's opened, it boasts a 7.3 inch screen. 2. It has two batteries, one on each side of the device. 4.When using an app like Google Maps on the smaller screen, you can open it up to see a bigger more detailed version of the map. 5.The device lets you multi-task on the bigger screen. Additional users can do things like text friends, search for something on Google and watch a YouTube video simultaneously. NASA’s planet-hunting spacecraft, Kepler, is back scanning the stars after a period of hibernation and repair. After the spacecraft downloaded a wad of data - codenamed Campaign 19 - in late August, it powered down for a snooze in sleep mode. Now, it’s back up and running after NASA has fixed up one of its thrusters. 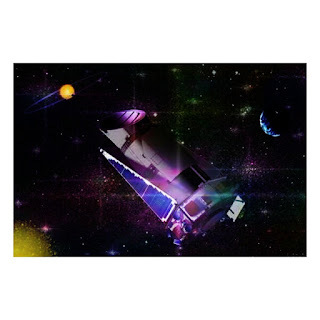 “The Kepler spacecraft began collecting science data on Aug. 29 for its 19th observation campaign. After being roused from sleep mode the spacecraft's configuration has been modified due to unusual behavior exhibited by one of the thrusters. Preliminary indications are that the telescope's pointing performance may be somewhat degraded. It remains unclear how much fuel remains; NASA continues to monitor the health and performance of the spacecraft,” the space agency announced. Kepler is on its last legs and has surprised scientists as it continues to plow on, catching light from distant stars. The telescope was launched in 2009 and was expected to last about three and a half years. But it’s still here nine years later, helping scientists to discover thousands of exoplanets. Astronauts on board the International Space Station have managed to repair a tiny tear in the fabric of a Russian capsule that was letting oxygen leak into space. The ship docked at the orbiting lab in June. Scientists believe the small rip in its shell could have been caused by a fragment of a meteorite colliding with the capsule. When the two-millimetre slash was detected, European Space Agency astronaut Alexander Gerst reportedly put his finger over the hole to try to plug the leak. “In effect, he literally touched space without a space suit,” the YouTube channel Techniques Spatiale tweeted. As a quick fix the two Russian astronauts on board the ISS patched up the split from inside the craft using sealant and a cloth stuck over the area, after initially covering it with heat-resistant tape while controllers on the ground worked on a longer-term solution. The module can be detached from the main body of the ISS if the fault cannot be fully repaired. But it is not clear what will be done with the spacecraft if it is damaged. Nasa confirmed the tear had led to a “minute pressure leak” and that the crew were containing the issue. "In A Parent’s Guide, we focus on three things: how to manage privacy, interactions and time on Instagram. We’ve included the basics of our app, and a description of our tools, plus a discussion guide for how parents and guardians can have an open conversation with their teens about Instagram. The discussion questions were developed in collaboration with education and social media expert, Ana Homayoun, M.A., P.P.S., and are designed to help parents and guardians learn more about how teens are using Instagram and to ensure they’re using the app in a positive way." Instagram says in a blog post that it sought input from a wide range of organizations in compiling the guide. "National PTA, Scholastic, ConnectSafely, National Alliance for Mental Illness (NAMI), National Eating Disorder Association (NEDA), GLSEN, Yale Center for Emotional Intelligence, PFLAG, Boys & Girls Clubs of America, Girl Scouts of the USA, and PACER’s National Bullying Prevention Center." British Airways says it is investigating "as a matter of urgency" the theft of customer data from its website and mobile app. The airline said personal and financial details of customers making bookings had been compromised. "We have notified the police and relevant authorities. 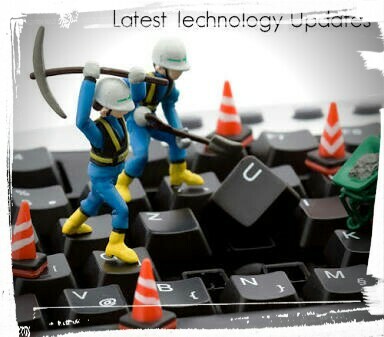 We are deeply sorry for the disruption that this criminal activity has caused. We take the protection of our customers' data very seriously." BA said anyone who believed they might have been affected should contact their bank or credit card provider and follow their recommendations. This is not the first customer relations problem to affect the airline in recent times. Facebook has chosen Singapore for the location of its new data centre, which is expected to open in 2022. The new facility will cost more than $1bn (£773m) and be located in the west of the country. It has been designed as an 11-floor structure, in an attempt to conserve space in the crowded nation, according to Facebook.One analyst told the BBC it was another sign of the country's popularity with large technology companies. Indian tech blogger Pankaj Mishra said on Twitter that the move was a "snub" to India - one of Facebook's largest user markets. However, Singapore is an ideal location for the data centre, according to Adam Simon at analyst firm Context. The galaxy note 9 has been officially unveiled. The anticipated Fortnite on Android also launches today and will be exclusive to new Galaxy devices for “a few days.” That means by the time the Note 9 actually arrives to users, the exclusivity will be over. 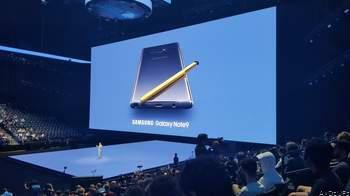 The Galaxy Note 9 is official, along with the unveiling of the long-rumored Samsung smart speaker, the Galaxy Home. At its annual Unpacked event in New York City today, the company finally confirmed details of the various hardware that had been leaked leading up to the announcement. The Note 9 looks... pretty much like any other Galaxy we’ve become familiar with. It’s a 6.4-inch device that will ship with Android 8.1, and it packs a 4,000mAh battery inside. That’s the largest battery inside a Note device yet, proving that Samsung is extremely ready to move past the Note 7 incident. The new S Pen stylus will also include Bluetooth, which allows it to perform various functions like doubling as a remote shutter for selfies and presentations. Despite now requiring a battery power to run, the S Pen has supercapacitive charging that allows it to regain power when you stick it back into the Note 9. The Note 9 will also be the first device to ship with an updated Bixby 2.0 that the company announced back in October 2017. The update gives Bixby a few new skills, such as the ability to search for nearby events, make restaurant reservations, and order Uber rides. The device will also support Google Assistant, however, if you find that the update still isn’t quite up to par with its digital assistant competitors. Spec-wise, the Note 9 has similar guts to the Galaxy S9: it’s got dual 12-megapixel rear cameras and a Snapdragon 845 processor. Starting at $999 for a 128GB and 6GB RAM configuration, the price point is comparable to the iPhone X. Samsung will release the Note 9 on August 24th, with preorders starting on August 10th. The White House wants the U.S. to use all available public and private resources to combat the issue of space junk, including that the Commerce Department "will make space safety data and services" available to the public. The Pentagon will continue to maintain its current catalog of objects – data it sells to satellite operators. Trump's directive on Monday also requires an unspecified entity update the U.S. Orbital Debris Mitigation Standard Practices and the creation of new guidelines for satellite design and operation. There are no time frames to implementation for any of the guidelines or requirements in the directive. President Donald Trump signed the third space directive of his presidency Monday, urging the Defense Department and Commerce Department to step up the United States' ability to track objects in space and protect against the increasing threat from debris in orbit around the Earth. The U.S. military is already tracking more than 23,000 objects in space around the Earth and several companies are planning to add thousands more satellites to orbit over the next few years. According to AGI, a company which provides software to commercial and government entities to analyze and track objects, the current public catalogs "only account for about 4 percent of the objects in space around the Earth," AGI Vice President Travis Langster told CNBC in March. "This new policy directs the Department of Commerce to provide a basic level of space situational awareness, for public and private use, based on the space catalog compiled by the Department of Defense," Pence said in April. 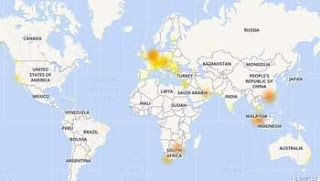 Of the issues reported, 67 per cent of users said they were having problems with connection, 26 per cent said the problem was with receiving messages, and five per cent said the problem was with log-in. It's one of the most popular messaging apps in the world, but it appears that WhatsApp has crashed for many users. According to DownDetector, the problems started at around 07:00 BST. Affected areas include the UK, South Africa, Malaysia and parts of the US. "Flamingo and White Heart are two of the emojis most requested by Emojipedia users in 2018. 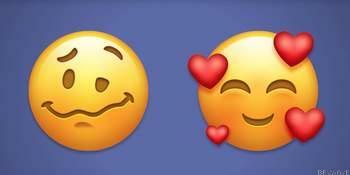 Both are shortlisted for the 2019 release of Emoji 12.0..Some of the [other] draft candidates include a diving mask, axe, waffle, diya lamp and hindu temple," said a statement from Emojipedia. More generally, users have also requested more diverse families, and people in wheelchairs. As this year’s emoji go live on June 5, but Apple won’t support them until iOS 12 in September. The new emoji we can expect to see introduced in iOS 12 were finalized back in February, among them redheads, hot face, cold face and party face. In contrary , but Emojipedia is already looking ahead to next year, and has listed some of the new emoji candidates for next year’s release. None of them are yet set in stone, but are include some of the most frequently requested additions.